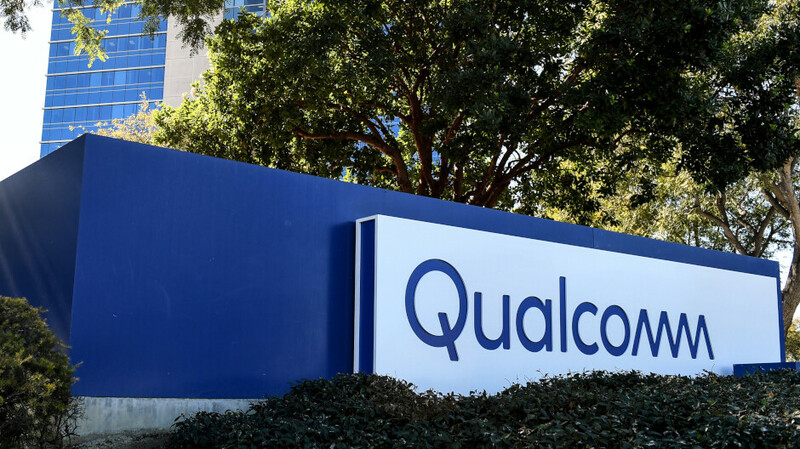 Qualcomm unveiled today the Snapdragon 730, 730G and 665 Mobile Platforms. The chip maker says that the new chips are designed to offer customers "exciting experiences" in gaming, AI and performance. The first new devices to be powered by these chipsets will hit the market in the middle of 2019. The Snapdragon 730 is the first 7 series SoC from Qualcomm that brings certain features previously found only on the flagship 8 series chips. Replacing the Snapdragon 710, the new SoC comes with on-device AI to provide "intuitive image capture, exceptional gaming, and optimized performance." The Snapdragon 730 is equipped with Qualcomm's fourth generation multi-core Qualcomm AI Engine, twice as powerful as the previous generation's AI Engine. It also includes the Qualcomm Spectra 350 image signal processor (ISP), found for the first time ever in a 7 series chip. The ISP provides four times the power savings as its predecessor and can support a triple-camera setup made up of telephoto, ultra-wide and portrait lenses. It will record 4K HDR video in Portrait mode. Made using the 8nm process, the Snapdragon 730 includes the Adreno 618 graphics processing unit (GPU) and a state-of-the-art graphics library that uses 20% less power than Open GL ES. This means that the chip will provide gamers with improved graphics and longer battery life. And with Qualcomm aptX Adaptive audio and Qualcomm Aqstic audio technology, gamers will be able to experience surround sound while playing mobile games. The new chip is Wi-Fi 6 ready, and with the Kryo 470 CPU on board, each core brings as much as a 35% improvement in performance. The Snapdragon X15 LTE Modem handles LTE download speeds as fast as 800Mbps. "With the introduction of the Snapdragon 730, 730G and 665 Mobile Platforms, we are bringing features such as sophisticated AI, exceptional gaming and advanced camera capabilities to a broad spectrum of devices at exceptional performance. Each iteration of Snapdragon drives immense innovation that will surpass customer expectations. "-Kedar Kondap, vice president, product management, Qualcomm Technologies, Inc. The Snapdragon 730G Mobile Platform is made for gaming phones, thus the "G" tacked on to the name of the chip. With an enhanced Adreno 618 GPU, graphics are rendered up to 15% faster than seen with the Snapdragon 730. Qualcomm met with some of the top mobile game developers to optimize the Snapdragon 730G. There is a Jank Reducer feature that removes up to 90% of janks with games running at 30fps. The chip also makes sure that players aren't cheating, and the Wi-Fi latency manager keeps gameplay running smoothly. With over 1 billion different shades of color, games won't only play better, they will look more realistic too. While the Snapdragon 730 and 730G will be used in handsets that are just not quite flagship material, the new Snapdragon 665 Mobile Platform is earmarked for pure mid-range models. But that doesn't mean you won't find some interesting features on the chip, like the third generation Qualcomm AI Engine. This provides twice the performance as the second generation AI engine. Speaking of AI, the Spectra 165 ISP found in the chipset includes AI capabilities. It also supports a triple camera setup made up of telephoto, wide-angle, and ultra-wide lenses. It also can handle images taken with today's 48MP sensors. For gamers, the Snapdragon 665 SoC comes with the Adreno 610 GPU for "improved and longlasting gameplay." The chip itself features four performance cores to handle the heavy-duty tasks, and four efficiency cores to take care of the light housekeeping. The Snapdragon 665 employs the Kryo 260 CPU and the Snapdragon X12 LTE Modem. The latter handles 4G LTE download speeds up to 600Mbps. Qualcomm’s overlapping GPU names are a mess. You can’t really know at a glance what is a successor to what. 4K HDR recording and Apple still does not have it. Who’s fault is that Android doesn’t benchmark as well as Apple. Your answer: your Android manufacturer that you choose. Blame them. If you want an iOS device that does 450k on Antutu go with an iPad Pro. Your have your answer. Not true. It's ignorant people who will use benchmarks from one platform using Apples Metal graphics, and compare them to Android with OpenGL. When in reality they should be comparing Android with Vulkan graphics. The other thing is Apple always has low resolutions, especially in comparison to most Android flagship devices, even mid range Android smartphones have higher resolution displays. You never see TomsHardware compare different PC graphics cards with different resolutions. Nice SoCs. but you guys should talk more about number such as how fast the GPU is compared to previous gen, or how much more efficient the CPU is. And have more info on what ARM cores the CPUs are using. Made using Samsung latest chip manufacturing process 8nm. Probably this is the new 7 series chip which is rumoured to be in the galaxy A90 or 80.